We have been invited to undertake a feasibility study into transforming The Academy’s Sir Jack Lyons Theatre which was opened in 1976. 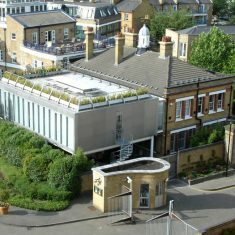 The Theatre, which currently seats 230, is used for opera, jazz and media music as well as some chamber music performances. The study will take place early in 2010.